At one of Hokkaido's oldest shopping districts, Tanukikoji Shopping Street offers a variety of both historical and newly opened shops. Built in 1873, the 1 km (0.6 mi) colorful arcade houses over 200 decorated stores, extending eight blocks from east to west. You can purchase all sorts of clothes (including kimonos), electric appliances, musical instruments, materials, and other speciality merchandise. When you grow tired of shopping, a wide selection of restaurants and movie theaters offer relaxation and dining. The street can get crowded--karaoke fans might want to take advantage of the captive audiences at a local bar. A visit to Tanukikoji Shopping Street represents just the start of the adventure when you use our Sapporo online road trip planner to plot your vacation. It is a shopping street that runs parallel to the South a little bit from the Odori Park. Quite a distance and walk from end to end, there were many dining options. Good thing there's lively but wasn't particularly good how you store it, something with purpose. Impression made the Parfait finish for tourists and shops, many foreign tourists. Tourist guides claim it’s a great place for unique shopping. This is not the case at all. It’s a ghost town in the morning with very few open restaurants at lunch time. Few interesting shops if any. The underground shopping streets are way more interesting. It’s overrun with tourists as well so expect the quality of shops to drop as they cater to them over locals. In summer maybe it’s better but I doubt it. The shopping street spans about 6-7 blocks in a covered pedestrian only walkway. 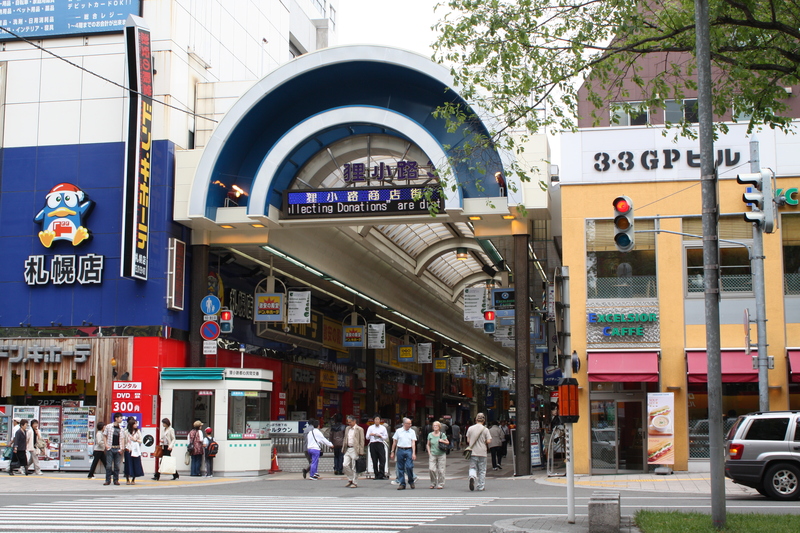 It's similar to the Shinsaibashi shopping area in Osaka, but many stores here are tax-exempt (bring passport) catering to the many Chinese, Taiwanese and Korean tour groups for uniquely Hokkaido sweets or seafood items. Many eating establishment as well including the Sumo hot pot place (see separate review). The street is perpendicular to the underground shopping street with stairs connecting them. Overall it's a good place to come shopping, eating or drinking. We love Sapporo, and Hokkaido in general. A great place to go for shopping. Be aware that many of the shops are closed on during お正月(New Year). A great place to walk, but it can get very busy. Do not stand in the middle of the arcade. Decent amount of coffee shops, restaurants, and a few UFO catchers. If you're looking for omiyage, there are plenty to find here. There is also a tourist information center here. Tanukikoji: Sapporo’s oldest shopping street that spans a few blocks....and I got myself a nice pair of boots. It's a good place for buying most of Hokkaido's famous cookies and snacks and cosmetics. Some duty free shops offer cheaper prices than the Airport. Every day, we help thousands of travelers plan great vacations. Here are some tips on how to use your Listing Page to attract more travelers to your business - Tanukikoji Shopping Street. Promote your permanent link - https://www.inspirock.com/japan/sapporo/tanukikoji-shopping-street-a176605113 - on your website, your blog, and social media. When a traveler builds a plan from this page, the itinerary automatically includes Tanukikoji Shopping Street. This is a great way for travelers looking for a great vacation in your city or country to also experience Tanukikoji Shopping Street. Promoting your link also lets your audience know that you are featured on a rapidly growing travel site. In addition, the more this page is used, the more we will promote Tanukikoji Shopping Street to other Inspirock users. For best results, use the customized Trip Planning Widget for Tanukikoji Shopping Street on your website. It has all the advantages mentioned above, plus users to your site can conveniently access it directly on your site. Visitors to your site will appreciate you offering them help with planning their vacation. Setting this up takes just a few minutes - Click here for instructions.